The Mission of the VIP Program is to increase membership participation in all aspects of the MRPA by providing an incentive plan that will reward members for their professional efforts and recognize members for years of service, involvement and contributions to the MRPA. The plan will encourage current MRPA members to continue their individual career growth and dedication to the field of Recreation and Parks. HOW DOES THIS WORK? The calendar year starts each year at the MRPA Annual Meeting. MRPA members begin tracking their VIP points and turn in their VIP form to Deb Smith by February 28, 2019. Necessary documentation must be included with your VIP form. SO WHAT’S THE PRIZE? One Grand Prize Drawing of $250.00 for a professional development experience of your choice will be awarded annually to the MRPA member who has the highest number of VIP points as of February 28, 2019. (No cash value and non transferable to another MRPA member). The member VIP points will be verified by the MRPA Board of Directors. 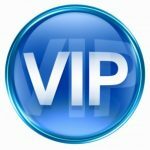 MRPA members who earn at least 5 VIP points will be entered into a special VIP drawing at the 2019 MRPA annual meeting. You must be present at the MRPA annual meeting in 2019. There will be two prizes drawn. The grand prize winner with the most points will not be included in this drawing. HOW ARE VIP POINTS TRACKED? MRPA members are responsible for tracking their own VIP point activities and submitting them on the VIP Tabulation Form, with the required documentation, by the specified deadline of February 28, 2020. The VIP Committee will review your tabulation and may grant VIP points for any miscellaneous activities you list for consideration…see the Tabulation Form for details. GET INVOLVED! Don’t sit back and say “What has the state association done for me?” The more people involved in the MRPA… the bigger, the better and the more it can do for you and for all of us!